The Union Hill Neighbors met for the first time this morning. You can join them every Saturday at 7am at Crown Center Fountains for a run of whatever distance or pace suits the runners that morning. 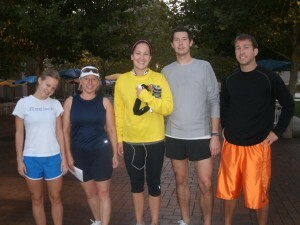 Kimberly Saunders is leading this group and you can contact her at kctcrunner@gmail.com. Run Local and create a sense of community in Union Hill.